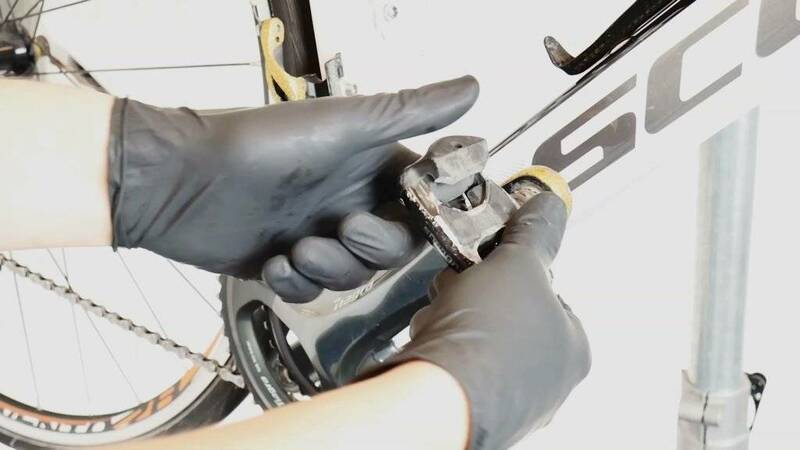 Simple Road Bike Inspection In 12 Steps. 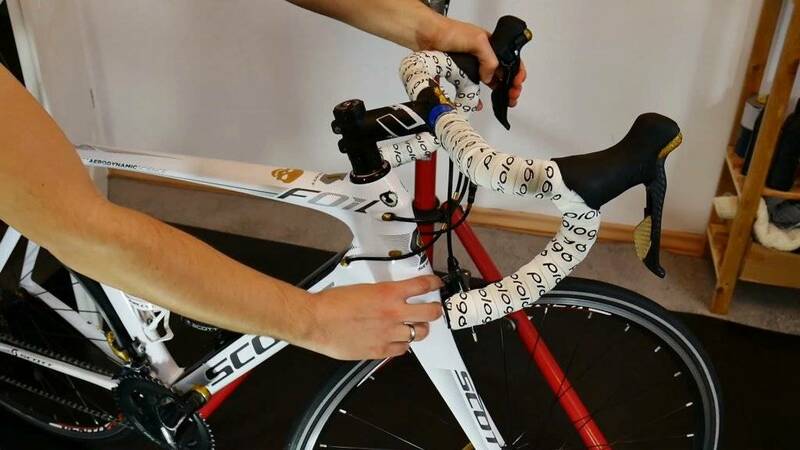 Quick bike check - how to perform it? Welcome to my workshop! 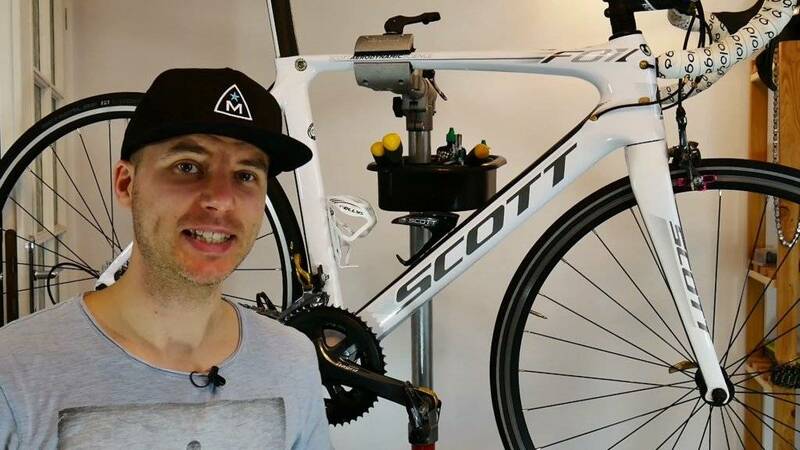 Today I'm going to walk you through a simple bike check. 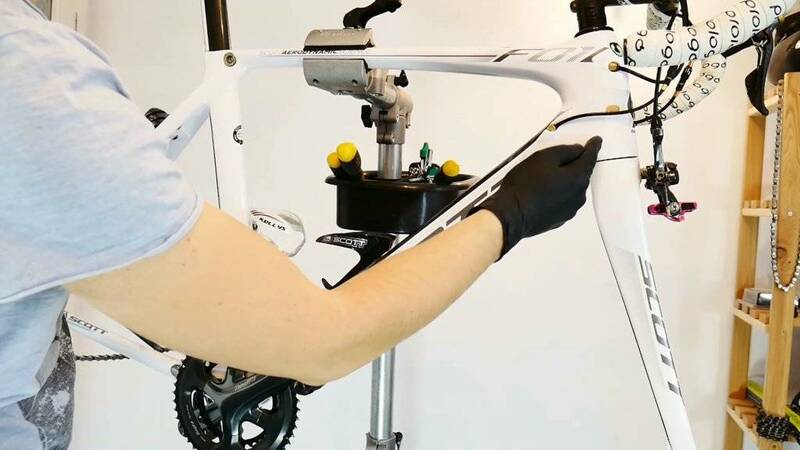 We're going to make sure your bicycle is safe to ride and we'll find out which parts need some care. So make your tee or some recovery smoothie and let's get busy! Step 1 - overall bearings condition. 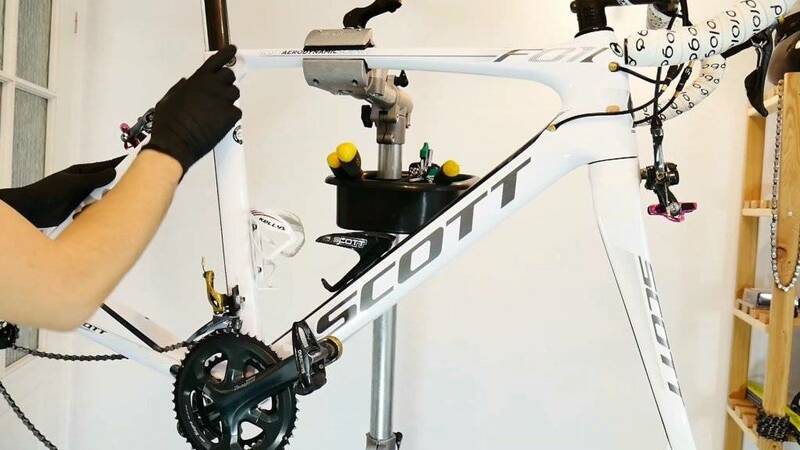 Before we start inspecting all the parts, let's just lift the bike a bit and let it fall (not completely) If you here any wobbling or strange sounds, this may indicate, that some bearings have play. Try to find the source of that sound. 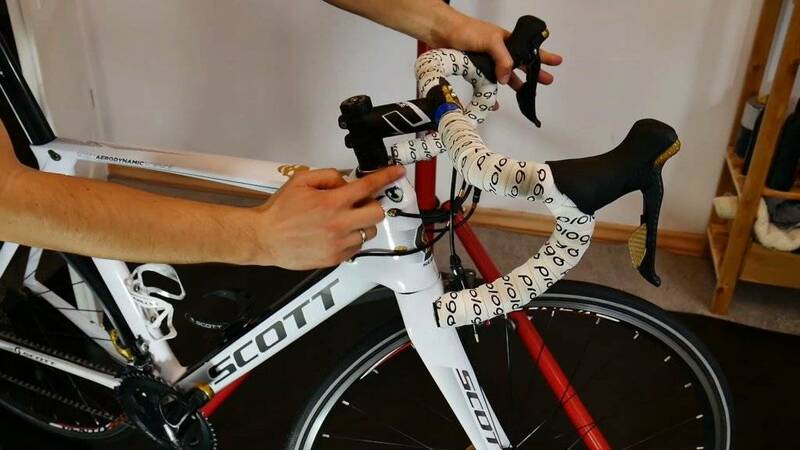 More experienced bike owners will be able to tell, whether it is the bottom bracket, or headset etc. 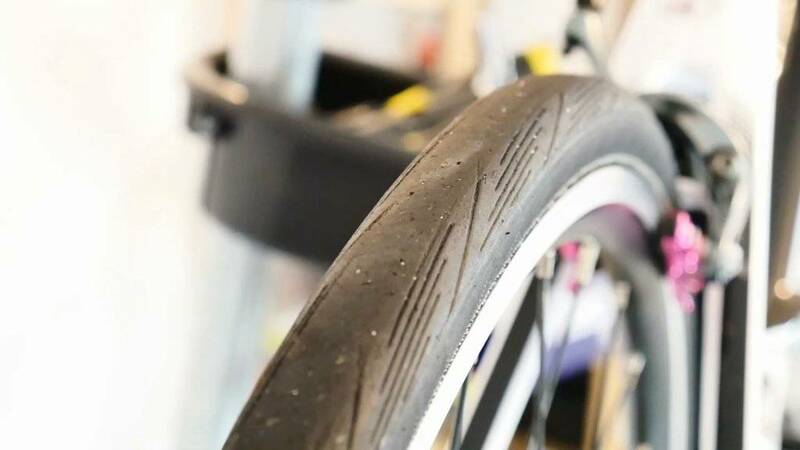 Your bike should be solid and you shouldn't hear anything but, the tires landing on the ground and perhaps the chain slap (depending on the gear and derailleur type). Step 2 - headset bearings inspection. 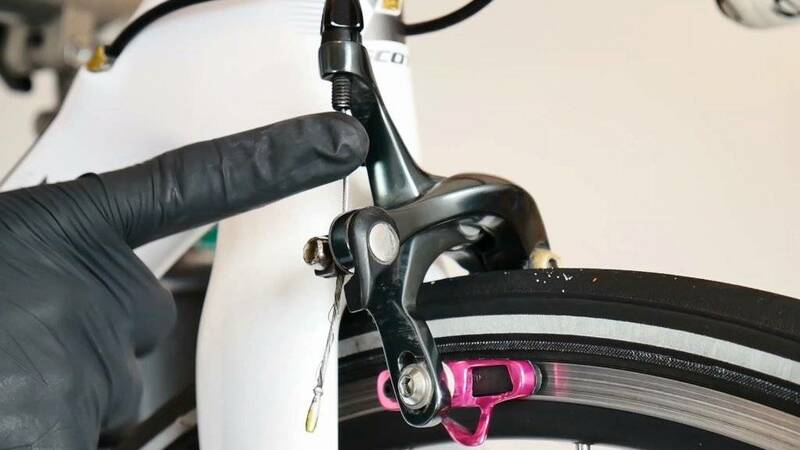 Having the bike still on the floor, brake with the front brake and push the bike back and forth, putting your fingers at the top headset bearing and feel for any movement between the frame head tube and the fork. Do the same fot the bottom bearing, as pictured below. Try to turn the bars and hear for some noise, or creaks. Do the bars turn easily? Step 3 - frame and fork inspection. 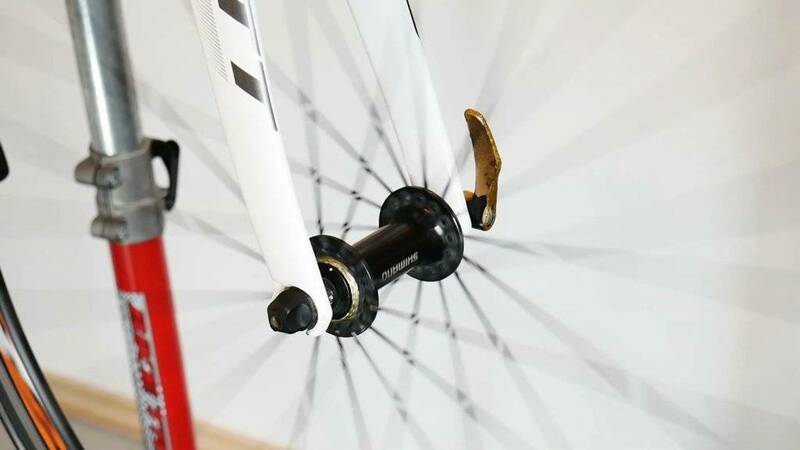 Remove the wheels from the bike and hang the frame on your bike stand (if you have one). Remember NOT to squeeze carbon frame on the stand - mine is just gently locked. 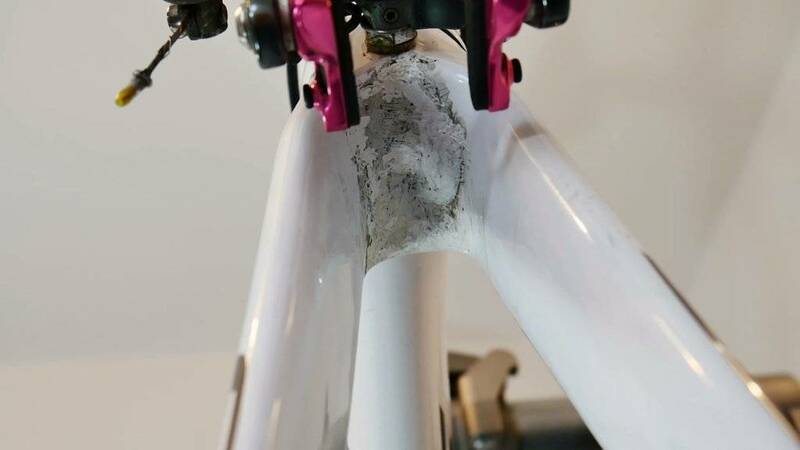 Know inspect the frame for any cracks and damages. 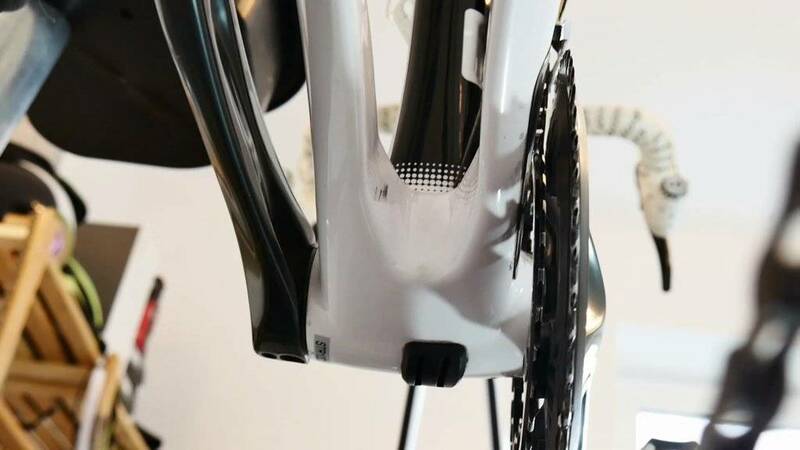 Carbon frames can have little cracks, that look like a hair scratch. Feel with your nails, whether the is at least the paint crack. 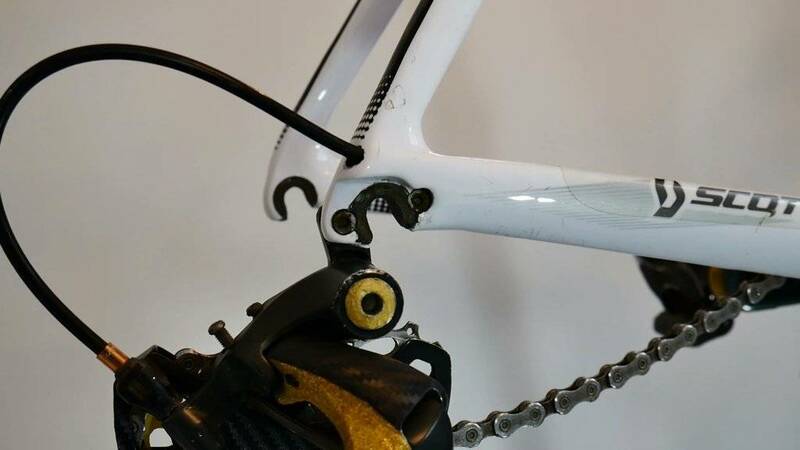 Some areas, that tend to crack are (all pictures below): the headtube, the seatpost clamp area, bottom bracket (also from the wheel's side), fork (above the wheel and dropouts), the rear dropouts. Step 4 - the braking pads. How thick (or thin) are the pads? Can you see the minimum thickness indicator? Are there any particles in the pads, like sand or metal. The particles you can remove with a file. Step 5 - the tires. Put your wheels back on and search for any cuts or objects, that you picked up from the road. What is the condition of the tread? Step 6 - wheels truness. Spin the wheel and see, whether it is true. The wheel should be straight, with no side to side or up and down movements. Make sure you look at the rim and NOT the tire, which can move a bit. Step 7 - the hubs. Spin the wheel again and listen to the bearings. You shouldn't hear any dirt inside. Then move the wheels from side to side and feel for any play. Step 8 - brake cables and housing. How smooth the braking feels? 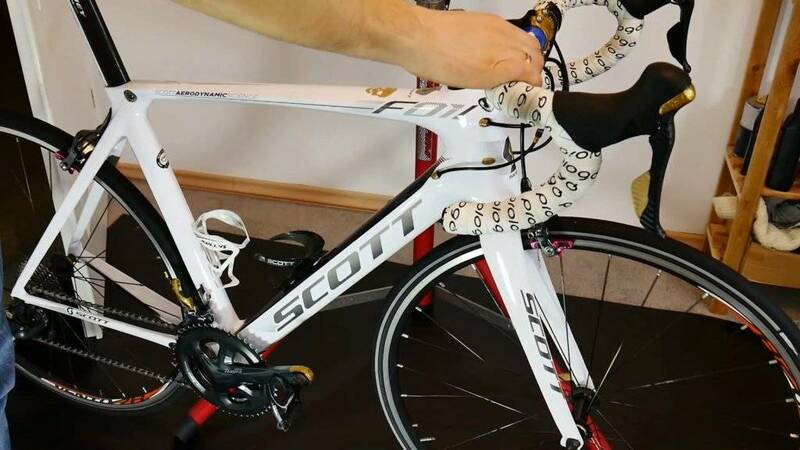 Do you need to apply a lot of power on the levers to stop the bike? 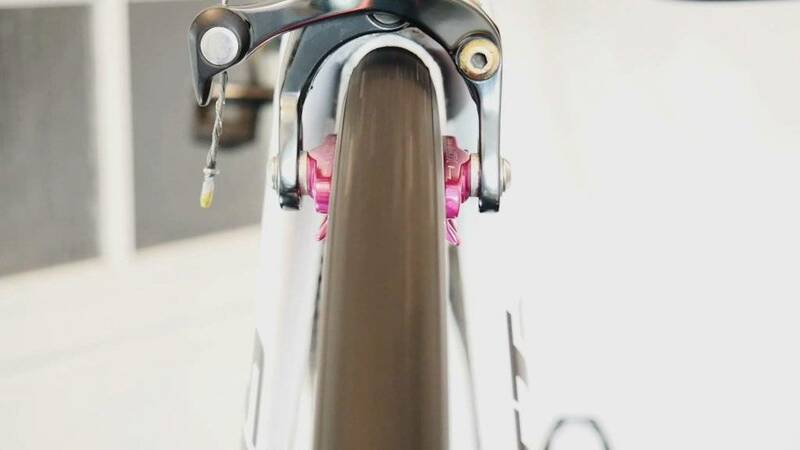 Do the calipers go back to their position easily, when the braking levers are released? Can you see / hear any dirt or rust at the end of the housing? Step 9 - shifting performance. Now spin the cranks and shift gears both in the front and in the rear. Is the gear change smooth and doesn't require using a lot of power? No chain drop from the lowest and highest gears? Do cable look clean at the end of the housings? Step 10 - the drivetrain. 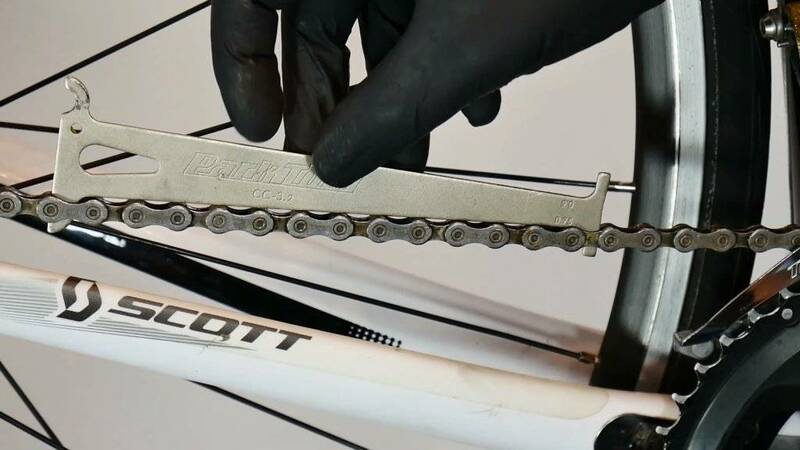 Use the chain wear indicator in order to see, whether it should be replaced. 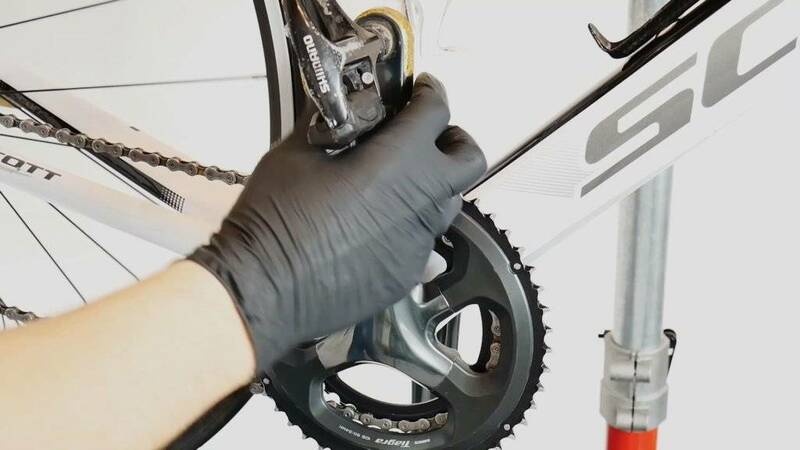 If you don't do it on time, you're gonna need to buy new chainrings and the cassette as well. 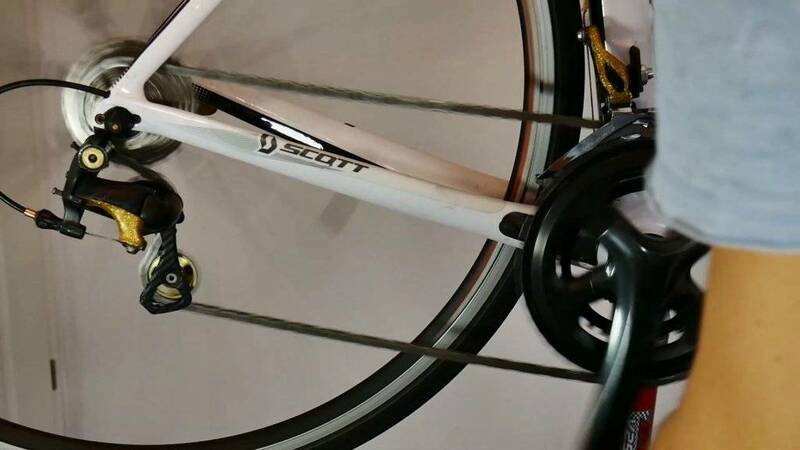 The chain at the picture below extended more than 0,75%, which means, that this bike's owner needs to replace a whole drivetrain. Step 11 - bottom bracket. Move the crank arm from side to side and feel for any play (do it for both sides). With the chain removed from the crank you may also try to see how freely the cranks spin. Step 12 - the pedals. Any play on the pedals? Do they spin freely? Are all the small screws on their place? 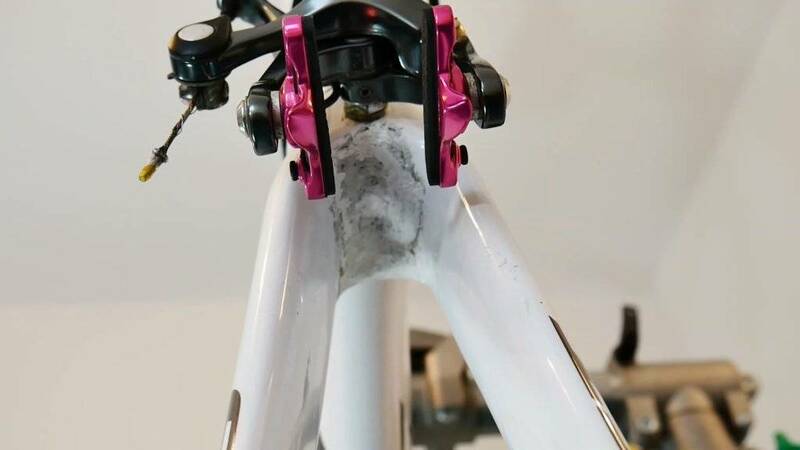 If the pedals spins long AND loudly it can indicate, that the bearings inside are dry and need some grease.